3-D tattoos – If you’re thinking about getting another tattoo, or a unique first tattoo, consider a 3-D tattoo. Not only are they unique, but they’re also stunning works of art. 3-D tattoos bring an image to life in ways that traditional tattoos simply can’t. Use your body as a canvas on which you create a stunning, mind-boggling, work of art that will capture the attention of everyone who sees it. People often want unique or meaningful tattoos. A 3-D Las Vegas Tattoo is certainly unique, and you can customize it however you want. The possibilities are endless. 3-D tattoos are the only tattoo style that gives the illusion that the tattooed image is sitting on your skin, part of your body, or hidden beneath your skin. The choice is yours. You can create the illusion that a butterfly is sitting on your shoulder, or you can get more creative and give the illusion that your skin has been removed to show the inside of you body. Take it a step further, and turn the inside of your body into a mechanical work of art, or have something hidden beneath your skin, peering out. It’s especially important with such intricate work that you go to a professional Las Vegas Tattoo Artist. A lot of work goes into making a 3-D tattoo. Shading, blurring, and highlighting are crucial to giving a tattoo the desired 3-D effect. Even if the artwork is basic, creating a 3-D tattoo is a complex process. Not everyone can effectively create such a mind-boggling masterpiece. If everything isn’t detailed perfectly, you’ll lose the 3-D effect that drew you to the tattoo in the first place. If you want to enhance your body with an intricate, stunning, 3-D work of art, contact us today. We offer a friendly, customer oriented experience, and our handpicked Tattoo Artists always deliver high quality, professional work. 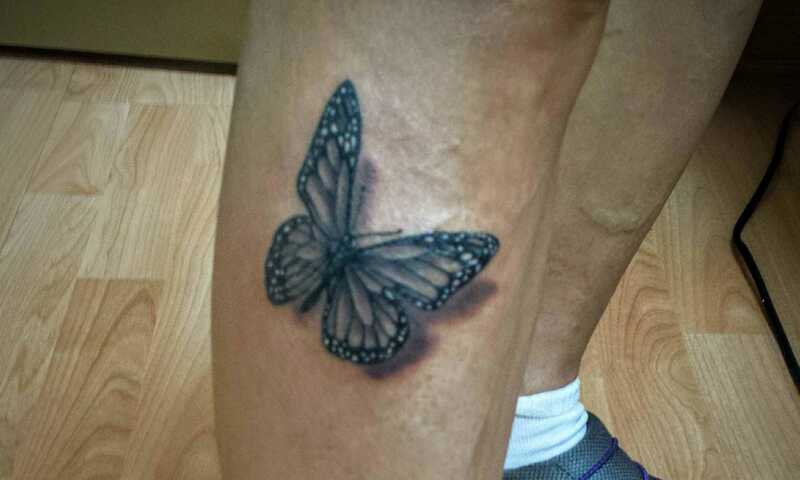 To book your appointment for 3-D tattoos call 702 435 1149.